Here are five things for baby I couldn't live without*! 1. 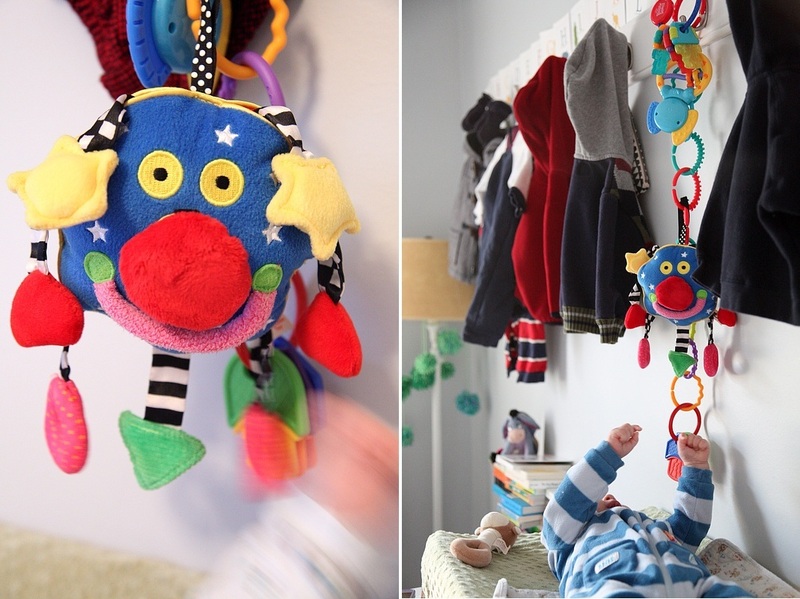 A toy hanging down next to his change table. Mr Whoozit really entertains my boys. You can change baby's diaper while they play. 2. 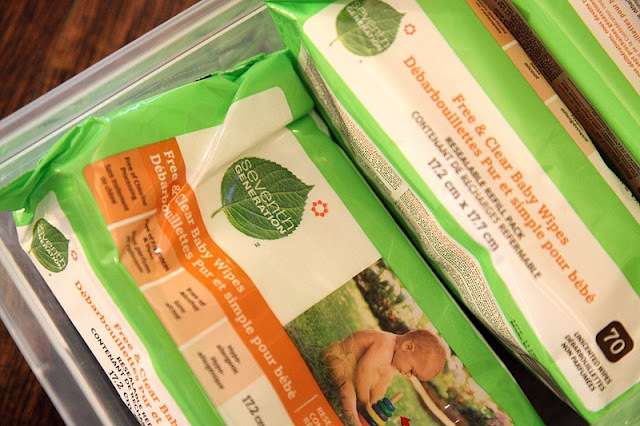 Seventh Generation baby wipes. Normal baby wipes seemed to give both of my boys diaper rash. We used baby face cloths and warm water with my older son. However, finding disposable wipes to do the dirty work is AWESOME! 3. Bounce Chair. Baby caught a cold week one of his life. Baby couldn't lie flat so we tried letting him sleep in the bouncer. AMAZING! He slept in bouncer for the next 5-6 weeks. 4. 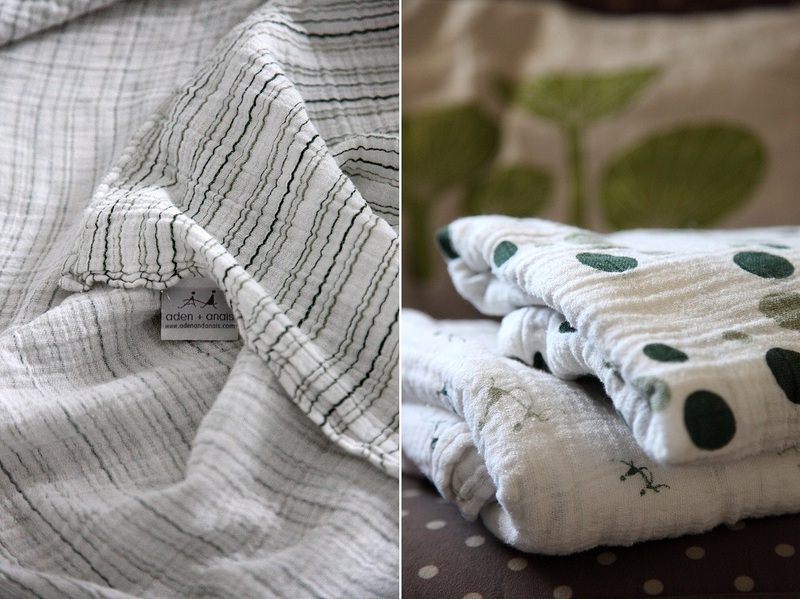 Aden and Anais Swaddle Blankets. These are the ULTIMATE. Yes, pricey, but they breathe, they swaddle tight, and they are large! 5. Maman Kangourou Wrap. I mentioned the wrap before. It is essential! During the day, baby will only sleep in the wrap. Yes, this is a bit tiring - but you know what is more tiring? When baby doesn't sleep! We also have the ergo - it is great for going out, and when baby gets bigger. 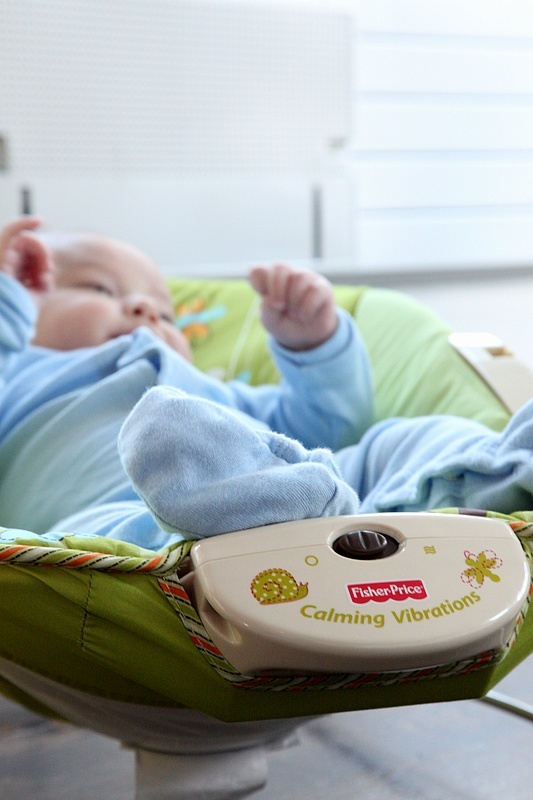 What things do you consider absolutely essential for baby? maman, swing, bouncer and ergo - yes, yes, yes and yes! These are all the ways my first one slept for the first 7 months of his life. Awww... adorable photos. I wore my second baby around constantly... he was so happy in his wrap! Even when he was 7 or 8 months old (and probably too big) I'd put him in it if I was desperate to settle him down. It was like magic. great tips! 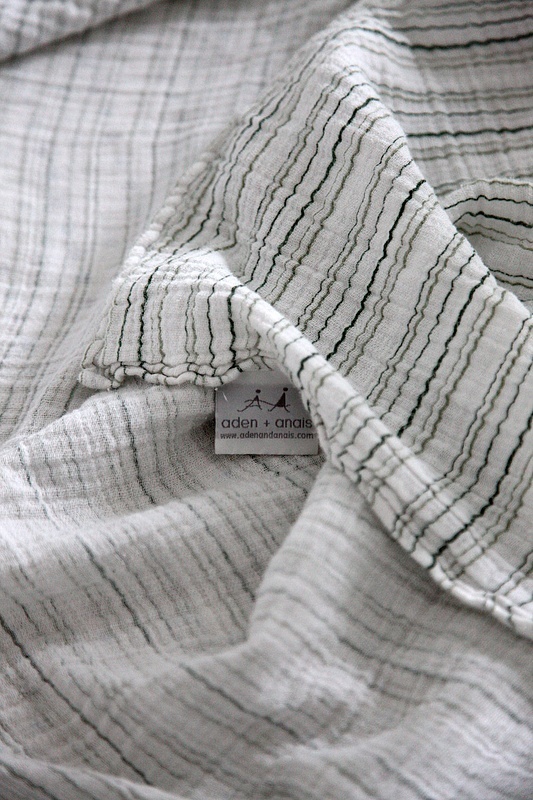 I have stocked up the aden and anis blankets, could buy them at a special price and will buy the ergo baby. get a wrap too! ergo is good, but the wrap is better early on! baby is more secure! ooh, great list. I meant to get a bouncy swing chair thingo but still haven't and probably won't now... we have the ergo which is working for us so far. p.s v cute sleeping face in that wrap!